Khushboo Nagdewani, Mumbai is a highly dedicated and skilled makeup artist and hair dresser with extensive proficiency in designing creative looks and vibrant art work that captures attention. With Khushboo Nagdewani, your bridal look is sure to be a stunning one! 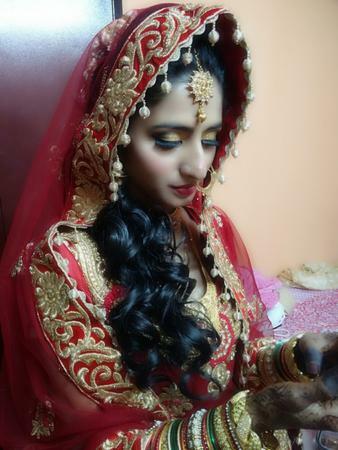 Khushboo Nagdewani is a Bridal Makeup Artist based out of Mulund Colony, Mumbai . Khushboo Nagdewani's telephone number is 76-66-77-88-99, Facebook page is Khushboo Nagdewani and address is 501, Gulmarg Palace, Section - 17, Ulhasnagar - 3, Mumbai . In terms of pricing Khushboo Nagdewani offers various packages starting at Rs 3000/-. There are 0 albums here at Weddingz -- suggest you have a look. Call weddingz.in to book Khushboo Nagdewani at guaranteed prices and with peace of mind.